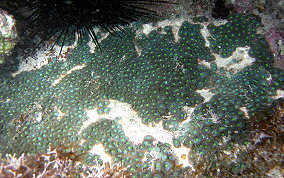 There are numerous types of Zoanthids that belong to this marine family of animal. 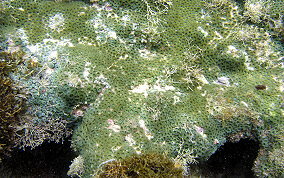 Some are still relatively unknown to science. 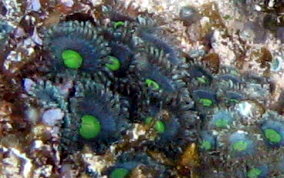 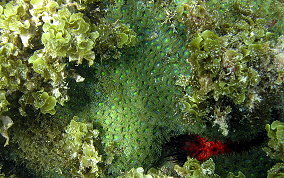 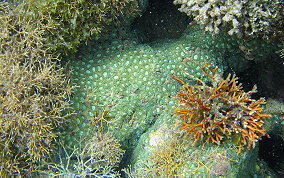 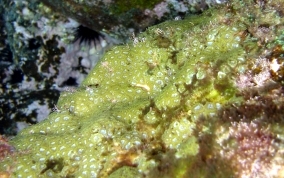 These pictures provide a sampling of the various "Mat Zoanthids" here in the waters of St. John; the small "Buttons" and the larger "Flowers". 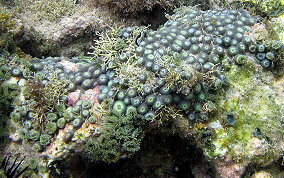 Zoanthids grow both in the shade and in the sun, on the sea floor like a Sea Mat in the Turtle Grass, under overhangs, on top of rocks, in cracks and crevices. 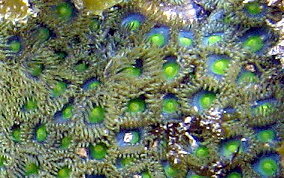 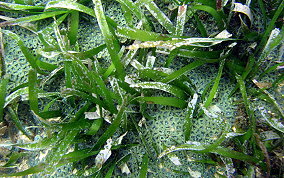 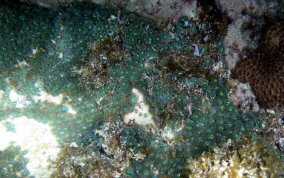 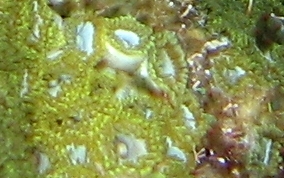 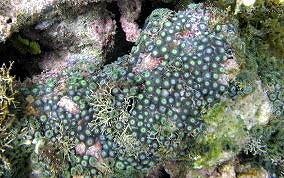 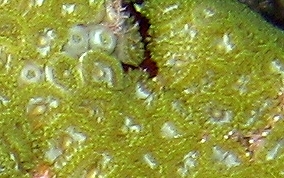 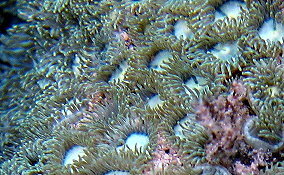 Some Zoanthids can be quit toxic. 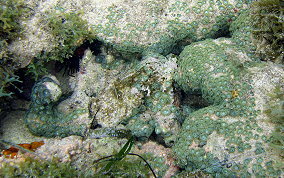 Unfortunately, there doesn't seem to be anyone working on the taxonomy of Caribbean Zoanthids.